Please note: Monarch Airlines has filed for insolvency. 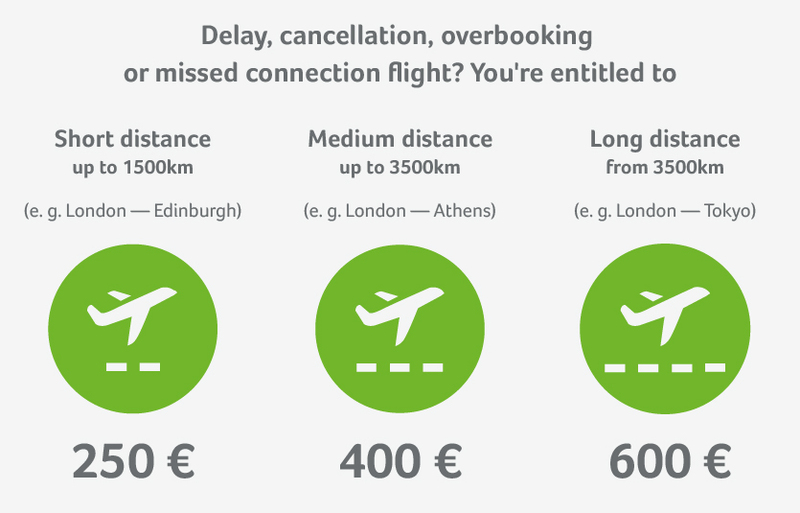 As such compensation claims for flight disruptions unfortunately have a very small chance of being successful. Please follow this link for further information about the current situation. As of October 2nd 2017 we have stopped taking new compensation claims against Monarch Airlines, as they have filed for bankruptcy. Customers with already existing claims should also be aware that sadly they are unlikely to receive compensation as Monarch are unable to make these payments. If your flight has been delayed for more than 3 hours or cancelled without any prior notice and for reasons within the control of Monarch airlines. According to EC Regulation 261/2004, passengers who suffered a flight delay or cancellation while flying Monarch airline may be entitled to a compensation. Ask Monarch directly - what caused the delay? When are flight delays eligible for compensation? If the delay stretches longer than five hours you have the right to cancel the flight entirely. The airline is obliged to either reimburse you for the costs or get you to the destination using a different transport method. If the delay stretches into the following day, the airline must cover the cost of a hotel stay and transportation to get to the hotel and back to the airport. Try to obtain confirmation of this in writing directly from the airline. Important: Don’t listen to any excuses! Vouchers for hotels or food don’t negate the airline’s responsibility to compensate you. Thanks to our experience in this industry we enforce compensation with a very high success rate. That’s why we are able to guarantee a completely free service in unsuccessful cases! In 2016 Monarch transported 5.5 million customers using 43 different airports. It operates a fleet of 35 aircraft comprised of Boeings and Airbuses and is the UK’s tenth most used airline. 2016 was quite a punctual year for Monarch Airlines, however, they did manage to accumulate 45 flight delays of over three hours. Impressively they only found the need to cancel one flight in the entirety of that year. This means that the airline ranks as one of the most punctual UK options. Monarch Airlines are not the easiest to deal with when trying to enforce valid customer compensation claims. This means that Flightright often ends up in court pursuing consumer rights, and as such the process is a bit slower with Monarch than it should be. The majority of the time you can check in with Monarch as early as 28 days before your departure and as late as 6 hours prior to the scheduled take-off. This can sometimes vary depending on the airport you’re flying from so it’s best to check your emails from Monarch to make sure. If online check-in is available it’s advisable to make use of it as it’s far more efficient than doing it at the airport. More information about Monarch Airlines here.